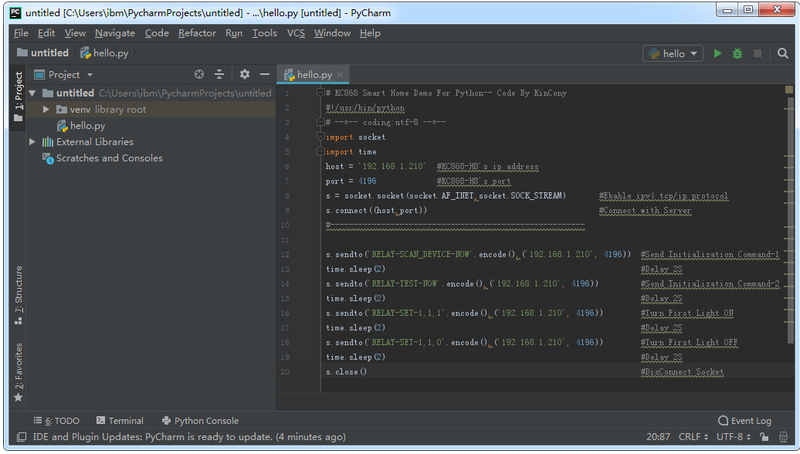 This is KC868-H8 Controller & KC868-H32 Controller local control demo source code by LAN mode use python by PyCharm tool. It can control relays by IP address and Socket port. The Controller is a Server.